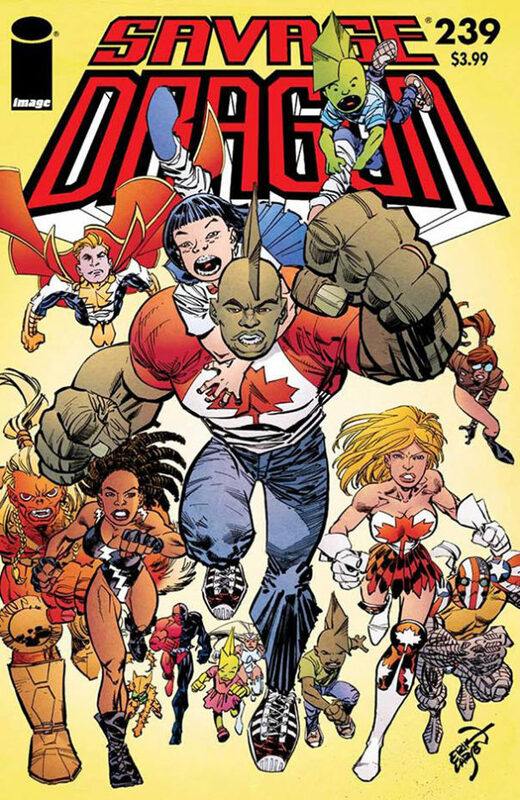 Savage Dragon #239 on sale! In case you missed it — and I know I nearly did — Savage Dragon #239 came out last Wednesday. Of course, I have a pull list and get the actual comic book but I’ve been buying the digital versions as well those last couple of years. That means I can always read the book the minute it comes out (and I’m glad I get notified once the book is available) and double dipping is my way to support Erik and to keep the book going. I also buy the collected editions of course.